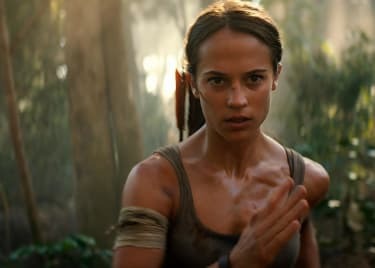 One of the most popular video game characters in the world returns to the big screen on March 16, as Oscar winner Alicia Vikander plays Lara Croft in the upcoming Tomb Raider reboot. The film will mark the character’s first live-action appearance in 15 years, and anticipation for her return is high. But with that comes a set of questions. After all, it’s been a long time since Lara made her presence felt on film and things have changed, in both games and movies. With the release of Tomb Raider almost upon us, let’s take a look at some of the burning questions we have for the film. 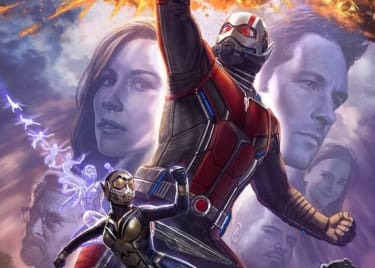 Will It Avoid The Mistakes Of Previous Films? Lara Croft debuted on the big screen back in 2001’s Lara Croft: Tomb Raider — in which she was portrayed by Angelina Jolie. Jolie was undoubtedly the perfect Lara Croft: she was fierce, unflinching and adventurous — everything the character should be. However, like many video game adaptations, the film (and its sequel Lara Croft Tomb Raider: The Cradle of Life) wasn’t well-received — with criticism revolving around its “thin” plot and the multiple shootout sequences. Simply put, the game’s concept did not translate well to cinema in this case. But the upcoming reboot is actually adapting more than just the character. Tomb Raider is specifically based on the 2013 reboot of the video game series. So we aren’t just seeing any old original Tomb Raider story, we are effectively seeing Lara’s first ever adventure retold in a live-action film. With the source material already there, the film simply has to translate an already great story to the big screen. Thus, Tomb Raider may finally be the movie that breaks the video game curse. Will Lara Sport Her Iconic Outfit? Lara Croft made her video game debut in 1996’s Tomb Raider. The action heroine sported a blue sleeveless top and brown combat shorts. She rounded this look off with pistol holsters that were strapped around each of her legs. It was a truly unforgettable appearance — and this attire has been associated with the character ever since. While game graphics improved over time and the character sported different outfits, the blue and brown attire remained Lara’s definitive look. However, when the game series was rebooted in 2013, Lara underwent quite the makeover. Instead of the strong, sassy adventurer, we saw a young, inexperienced and vulnerable Lara in a more grounded narrative. Her iconic outfit was replaced with tattered clothing and the guns were replaced with a bow and arrow. As the upcoming film is based on this game, we know Vikander’s Lara will be reminiscent of that shipwrecked girl. 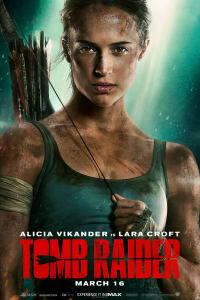 And while she will sport attire identical to this version of Lara, the film’s promotional material suggests that we may also see her wear the more recognisable original Tomb Raider outfit. Quite a few of the film’s posters feature Vikander sporting a blue tank top — as opposed to the reboot-accurate grey one she is seen wearing in the film. Thus, we have to wonder if we might see Vikander’s young Lara grow into the tomb raider we all know and love. And the best way of definitively executing that is to have her wear the character’s trademark attire. But will she add the shorts and upgraded weaponry to her arsenal? As this is the first Tomb Raider film in years, anything is possible. Furthermore, it would be a nice callback to the game that started it all. Will There Be Any Tomb Raider Easter Eggs? Given its source material, Tomb Raider will undoubtedly be full of references to the 2013 reboot. With a similar story, setting and iteration of Lara, it’s clear that the film will pay tribute to the video game. However, could we see any Easter Eggs or references to the previous Tomb Raider game series? From Big Bads like Natla to Croft Manor residents like Winston, the franchise has introduced us to an abundance of rich supporting characters over the years. Moreover, Lara has faced countless death traps and overcome many obstacles, some of which would make great additions to the film. With over 15 years of material to pull from, its possible that the film could weave in some nice references. And this would definitely be a hit with fans of the video games. With Tomb Raider right around the corner, these questions will soon be answered. After a long cinematic absence, Lara Croft is ready to make her return to the big screen. And this could be her greatest adventure yet.